If this email does not appear to be displayed as intended, click here to view it online. 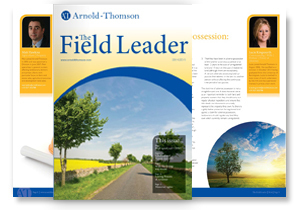 Welcome to the 2014 edition of The Field Leader. We hope that you find our latest edition of interest and if you need further advice on any of the topics contained within this newsletter or indeed any other matter, we will be only to pleased to help. This year we welcomed Natasha Cosby, Property Lawyer. Alberta Reid and her assistant Jayne Henderson join us in early June as additions to our residential conveyancing team and we have said farewell to Sylvia McCarthy who retired in March following 16 years of service with Arnold Thomson. We will be at the Blakesley Show on Saturday 2nd August please come and have a chat with us.